The following information is on file with the Mt. Laurel Township Police Department. On April 3, at approximately 12:13 p.m., patrols with the Mt. Laurel Township Police Department responded to the 7-Eleven on Marne Highway for a report of a an unconscious male. Upon arrival, patrols located the vehicle, with a male behind the wheel and the vehicle running. Police say officers were able to wake the man, although further investigation lead to the arrest of the 59-year-old man, from Lake Ariel, Pa., on DUI charges. Police transported the man to department headquarters for processing and eventually released him to a third party. On April 3 at approximately 1:02 p.m., a pedestrian stop lead to the arrest of a 33-year-old female from Barrington. 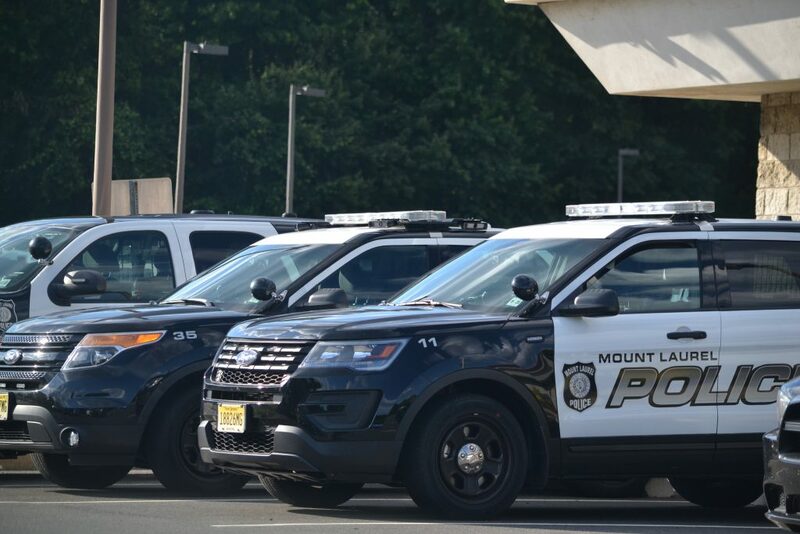 Police say the suspect was stopped in the area of Route 73 and New Jersey Turnpike, and police allegedly found her to be in possession of narcotics. Police say the female was also found to have an outstanding warrant out of another jurisdiction. Police transported the female to department headquarters for processing and released her pending a new court date. On April 1 at approximately 12:09 p.m., patrol units responded to Wegmans for a report of a shoplifting. Police say the officers arrived to find that a woman had allegedly taken a loaded shopping cart past all points of sale and never attempted to render payment. Police transported the 47-year-old woman, from Edgewater Park, to department headquarters, where police processed her. Police released her pending a future court date. On March 30 at approximately 7:14 p.m., patrol units responded to the Doubletree Hotel for report of disorderly guests. Police say a staff member advised she wanted occupants of a room to vacate the hotel, but police say the hotel employee and one of the guests got into a confrontation. The officers stepped in and the guest allegedly reached for a safe, which police say contained various types of alleged narcotics. Police say the guest then allegedly attempted to run and officers were able to take him into custody. According to police, one guest was found to be in possession of alleged narcotics. A second guest gave false identification and was found to have active warrants. A third guest was also found to be in possession of alleged narcotics.Police arrested all three males, who were all from Camden. Police then transported the suspects to department headquarters for processing. Police released two of the men pending a new court date. The third man was committed to Burlington County Jail.